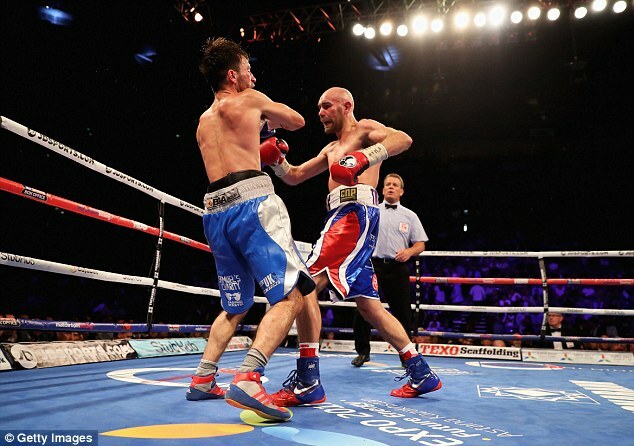 Stuart Hall has instructed his lawyers to write to the IBF to formally request a rematch with British rival Lee Haskins, the IBF bantamweight champion. 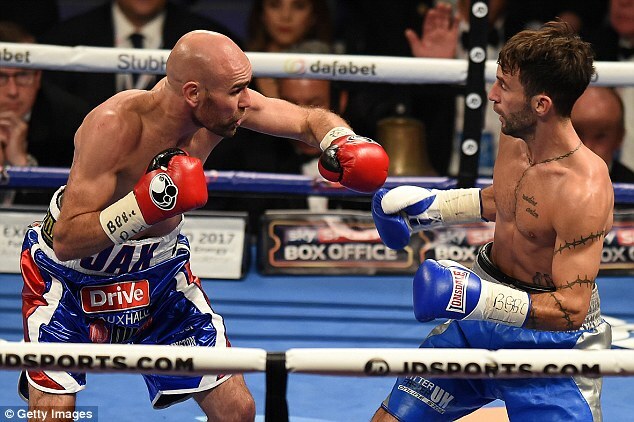 The 36-year-old lost on all three judges’ scorecards when he challenged Bristol’s Haskins for his belt back in September, on the undercard of Kell Brook’s defeat to Gennady Golovkin. Hall, however, believed the judges got it badly wrong on the night and has called in his legal team in a bid to get a second shot at the belt. His letter to the IBF even includes support from Carl Froch, who said: ‘I thought Stuart did more than enough to win’. Hall said: ‘I’m hopeful of getting them to look at it. And if they take a look at it I’m positive they’ll see that the result was wrong. ‘Not one person has said I lost that fight. He was quiet afterwards because I think he knew he had lost. ‘It took me three weeks just to watch the replay and everyone since, including some high people in boxing, have said I was robbed of the result. Judge Marcus McDonnell scored it 115-113 to Haskins while Danrex Tapdasan had it 116-112 – but Glen Hamada’s 117-111 looked particularly wide. And Hall’s lawyers at De Beristain Wallace, who have previously advised two-weight world champion fighter Carl Frampton, believe the scores warrant officials to look at staging a rematch. Their letter reads: ‘The panel of judges appear to have failed in their duty to score the Fight in a diligent and reasonable manner. Hall fears it could take a year to get another shot at the title unless a rematch is granted.